Is Zakir Naik Being Unfairly Targeted? 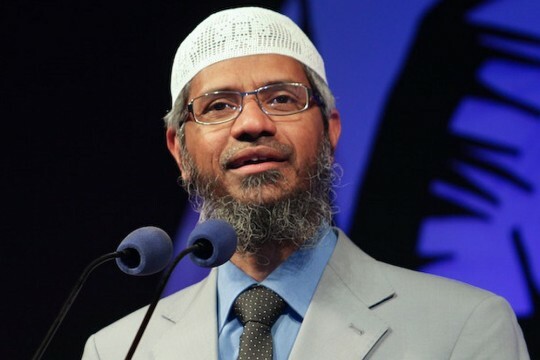 Ever since the ISIS-claimed attack on an upmarket Dhaka cafe, the Modi government has said it will examine Islamic preacher Zakir Naik’s speeches for remarks that can foment terror and religious strife. This is the same government which looks the other way when leaders like Yogi Adityanath, Sanjeev Balyan and Sakshi Maharaj among others, have said much worse. Ques. ​​So, is the Modi govt ​​unfairly targeting Zakir Naik for radicalising Muslim youth? Yes. Naik was exercising his Freedom of Speech, a fundamental right. Th​is​ government​'s motives are suspect, given its track-record with Hindu terror cases. The Hindutva camp has said far worse, but​ ​​no action is taken against them​. Note: This, needless to say, is not a scientific poll and reflects the opinions of only those users who have chosen to participate in it.